Stuart Thomas Butler was born in Naracoorte in south eastern South Australia on 4 July 1926. His father was of Welsh coal mining origins and after fighting in World War I took a repatriation school teacher training course in Southhampton. Before he had taught in Britain he accepted a two year exchange teacher scholarship to South Australia. There he met and married Amy Victoria Wytkin, the daughter of a dairy farmer. They had 3 sons of whom Stuart was the eldest. Stuart gained his primary education at Murray Bridge and Gumeracha primary schools, where he was taught from Grade 4 to 7 by his father who became a head-master. His father, possibly because of his relatively limited education in Wales, was very concerned with the use of proper English, particularly sentence construction. Perhaps his soul is visible in Stuart's writing, which has always used concise, clear and effective English. Stuart had his secondary school education at Birdwood High School where he began to display great skills in mathematics, science, English and music. He was awarded the ANZAC medal for an essay in a South Australian competition. He obtained a high credit in music (piano) examinations and there were considerations as to whether he should go to the Conservatorium of Music or University. In his secondary school life Stuart had his full share of outside activities-he won a prize for raising a calf-no doubt inspired by his mother-and played for his School in cricket and Australian Rules Football-in this case probably encouraged by his father who became Supervisor of Physical Education for South Australia. Professor Kerr Grant - an imaginative and enthusiastic experimental physicist. Stuart's respect and feeling for experimental physics was no doubt enhanced by this stimulation. Professor Hans Schwerdtfeger - a brilliant mathematician who had escaped the ravages of Nazi atrocities in Europe. A mutual colleague of Stuart's and myself, Dr. W. I. B. Smith, once told me he did a deal with Professor Schwerdtfeger that he taught him English in return for tuition in mathematics. Miriam Buder remarked that WIBS got the best of the deal-his mathematical skills were obvious but Schwerdtfeger's English improvement was not startling. Miriam Silver - a trainee nurse at the time, and later to become Stuart's wife, was enthralled by his skill as a pianist at their first meeting and had no thoughts about his potential as a theoretical physicist. Throughout his married life she had a vital impact on Stuart's work and on his relationships with others-Miriam has shown so much how she cares-not only for her family and friends but for all people in adversity. In 1945 Stuart Butler graduated with B.Sc. from the University of Adelaide with top place in all three final year subjects-pure mathematics, applied mathematics and physics. In 1946 he obtained his B.Sc. with first class honours and in 1947 his M.Sc. with a thesis associated with the Department of Physiology on the transient responses of electronic equipment. His undergraduate record was so brilliant that he was awarded an Australian National University Scholarship to work in theoretical physics in the University of Birmingham. In 1949 Stuart Butler commenced research in theoretical nuclear physics in the Department of Mathematical Physics at the University of Birmingham and the subsequent 3 years were to lay the foundations of his world reputation. There he was inspired by Professor Rudolf Peierls, who was to become his life long friend and confidant. Direct nuclear reactions in the years 1950-54 where he was recognized internationally as the initiator of the work, particularly in his development of stripping reactions where standard textbooks give him full credit as the pioneer. He returned to this field in 1965-69 with a further major contribution to deuteron stripping theory where he initiated a new method of calculation (Nature, 207, 1346 (1965)). This was followed by a series of a dozen publications in top nuclear journals with his students Hewitt, Truelove, McKellar and Nicholls as co-authors. This work, spanning a period of about 20 years, was recognized by the American Physical Society by a shared award with Dr. Satchler of the Tom Bonner Prize in Nuclear Physics. The Citation reads 'for their discovery that direct nuclear reactions can be used to determine angular momenta of discrete nuclear states and for their systematic exploitation of this discovery permitting the determination of spins, parities and quantitative properties of nuclear wave functions'. The award of this prestigious Prize was a fitting tribute to the numerous experimental programmes in the U.S.A. that have been instigated as a result of the innovative theoretical advances of Butler. Work on the energy loss of particles in a plasma. This was published with Dr. Buckingham in Phys. Rev., 126, 1(1962), and is now treated as the authoritative paper on this important topic. The solution that Butler and Buckingham developed is a much simpler one than previous models and is more amenable to calculating additional effects. Butler followed this paper up with a no. of papers with his students Johnston and Parcell, and with R M. May, on the reaction of high energy neutral particles with plasmas. These have been well recognized overseas and have received a recent resurgence of interest with neutral injection looking the most promising method of heating Tokamak fusion systems. Work on atmospheric tides induced by absorption of solar radiation in the ozone layer. This work, undertaken in conjunction with a student, Small, was published in the Royal Society in London and represents an important theoretical contribution to the physics of our upper atmosphere. 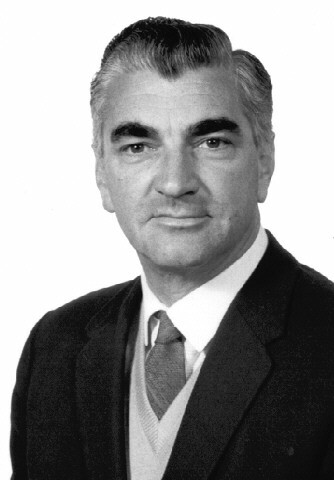 In 1972 Butler was able to apply his knowledge to assist the Australian Academy of Science in bringing out a report on the atmospheric effects of supersonic aircraft. Butler's work in theoretical physics gave him, not only the international recognition referred to in the award of the Bonner Prize, but also national acceptance in his election to the Australian Academy and for the award of the Thomas Rankin Lyle Medal in 1966 for outstanding research in mathematics and physics over the previous five years. The citation for the Lyle Medal included his work on direct nuclear reaction theory, on the loss of charged particles in a plasma, and on the atmospheric tides induced by absorption of solar radiation in the ozone layer. He was also awarded a D.Sc. by A.N.U. in 1961. After the completion of his doctorate at Birmingham Stuart Butler became a research associate at Cornell University, New York. There he was to work in association with such brilliant theoreticians as Nobel Laureate Hans Bethe and ex Australian Ed Salpeter. Butler played his full contribution amongst a galaxy of such brilliant stars that existed at Cornell at that time. In 1953 he returned to Australia to a senior research fellowship at A.N.U. and in 1954 he was appointed a reader in physics in the Universiy of Sydney. Here Stuart joined a group of young theoretical physicists attracted to Sydney by the recently appointed Head of the School of Physics, Professor Harry Messel. Stuart had a fruitful collaboration with J. M. Blatt and M. R Schafroth in studies of low temperature physics, particularly on the phenomenon of superconductivity. The collaboration was very fruitful both in terms of Sydney University's reputation in theoretical physics and in the band of very able enthusiastic research students including R M. May, F.RS. It was during this period that Stuart Butler was invited as a visiting fellow to the prestigious Institute of Advanced Studies in Princeton. In late I959 Stuart Butler was appointed professor of theoretical Physics and I Professor of Plasma Physics at Sydney University. There began a period of twenty years of deep intellectual, personal and scientific collaboration even though we were poles apart in our approaches to physics-Stuart the deep thinker-the theoretician and I essentially the experimental pragmatist. The ability to examine an experimental problem and to decide whether it was worthy of theoretical investigation and what were likely to be the most profitable lines of attack. The ability to sketch out a problem on perhaps three pages of paper to a student and find him come back in three years time-with a lot of discussion and stimulation-with a PhD thesis with results not too different from the original thoughts. The ability to pull together a Department as an integral group where individual initiatives were actively encouraged. The ability to encourage his secretaries (Magdelena, Margaret, Elizabeth, Eunice, Anne and Patricia) to carry the weight of his administrative tasks - and they all loved and respected him for the opportunities to do these jobs and leave him more time for science. Truly Stuart was a Professor in the academic fraternity and this is perhaps crowned by his visiting Professorships to Cornell and Harvard. Stuart Butler always felt he owed a wide debt to science as well as theoretical physics and this is fully evidenced by the numerous (unpaid) positions he has held. Chairman, Physics Subcommittee, Science Syllabus Gommittee, Board of Senior School Studies, N.S.W. 1963-1965. Member, Science Examination Committee, Board of Senior School Studies, N.S.W. 1963-1965. Chairman, Science Syllabus Committee, Board of Senior School Studies, N.S.W. 1966-1977. Chairman, Science Examination Committee, Board of Senior School Studies, N.S.W. 1966-1977. Chairman, N.S.W. Science Evaluation Cornmittee 1970-1977. Chairman, School Physics Committee, Australian Academy of Science 1972-1974. Chairman, School Physics Project, Australian Academy of Science 1974-1976. I could try to single out his contributions to each of these posts-better that I should emphasize that the majority were elective-and that a simple study of their titles will reveal the extraordinary depth and breadth of Stuart Butler's scientific interests. The death earlier this month of Professor Stuart Butler was a loss to this world on many levels. On the most obvious one, his place as director and chief scientist of the Australian Atomic Energy Commission's research establishment at Lucas Heights, near Sydney, will be difficult to fill. Butler's boundless enthusiasm for science and his impatience with form and bureaucracy blew through the place like a blast of rejuvenating oxygen when he moved there from Sydney University five years ago. He had been tempted into leaving the familiar, supportive academic world by the challenge, as he saw it, of getting our best equipped and staffed research group out of its narrow involvement with nuclear energy into the broader field of energy in general-which Butler saw as critical to any country's survival in the 21st century. Butler did not win his fight to have the word 'Atomic' dropped from the title of the place, nor did he entirely outflank the well dug-in forces of the CSIRO-but he did manage to streamline the running of Lucas Heights, improve its relations with scientists outside, and broaden its research base in many important ways. When he died he was, I believe, close to setting for that establishment a higher goal-one that it sorely needed, and which would have combined an attainable objective for Australian science with a moral imperative which would surely have attracted, and deserved, world-wide response. That was to swing a major effort by his research team behind the pioneering work of Professor A. E. Ringwood at the ANU to solve, finally, the problem of disposing safely of that sinister by-produce of the atomic age, nuclear waste. A newspaper strip 'Frontiers of Science' produced in association with the well known science writer Robert Raymond. This strip was produced for 19 years in an accurate but brief way and at its peak was reproduced in over 200 newspapers in fourteen different languages. A series of scientific articles in the Sydney newspapers Daily Telegraph and Sydney Morning Herald. The organization and running of a conference in about 1975 between the Academy of Science and the ABC on the problems of scientists communicating with the people. A dinner that Stuart organized in Sydney between about ten fellows of the Academy and ten leaders in newspapers, radio and television in Sydney to discuss the problems of scientists communicating with the media. I remember Stuart's consternation when it emerged that the person responsible for the dinner had provided one bottle of red and one white. A book written in simple language by Butler (with Raymond and myself to try and elucidate the complex problems of the use of uranium (Uranium on Trial 1977). A whole series of Summer Science School books edited with Harry Messel and ranging through such diverse topics as nuclear physics, space research, astronomy, biology, brain mechanisms, solar energy and geology. Stuart Butler surely played a vital role in endeavouring to explain to the public at large the aspirations, the successes, the fears and the failures of science. Stuart Butler was a man of enormous vitality whether it involved some intricate problem in theoretical physics or some challenge in cricket or table tennis. In his school days he excelled in Australian Rules Football and cricket. In his University of Sydney days I tasted of his enthusiasm for cricket against the students, for his representation of theoretical physics in table tennis, for his love of trout fishing and water skiing and in fact for his whole appreciation of the great outdoors. He became an ardent rugby union follower when his son Paul did so well at Shore and finally became halfback for the Sydney University Rugby Team. Despite all his honours and successes Stuart Butler remained a generous and friendly man. He enjoyed life and in his infectious way communicated the enjoyment and sense of vitality to all with whom he came in contact. As a husband and a father I believe he was wonderful from remarks that were made to me during his lifetime by his wife Miriam, his sons John and Paul and his daughter Jenny. Certainly he spent most of his leisure time with them at his cottage on the Hawkesbury River or encouraging them in their individual sporting activities. It is indeed sad to them that he was taken from them at the early age of 55. As a man Stuart Butler was always completely accessible to his colleagues, his students and his staff He could listen to their problems, their complaints, their successes with a sympathy not usual in such great theoretical physicists. All of us-the world of science, his colleagues in physics, his friends and his family deplore his passing but applaud his accomplishments which will live on in his scientific papers and memories of a really great physicist. He died on 15 May 1982. In writing this biographical memoir I would like to acknowledge the help of his wife Miriam, his brothers Murray and Robert, Don Millar and Dr. W.I.B.S. Smith of the School of Physics and his ex-secretary Patricia Moroney. Professor C.N. Watson-Munro is Emeritus Professor of the University of Sydney. This memoir was originally published in Historical Records of Australian Science, vol. 5, no. 4, Canberra, Australia, 1983.